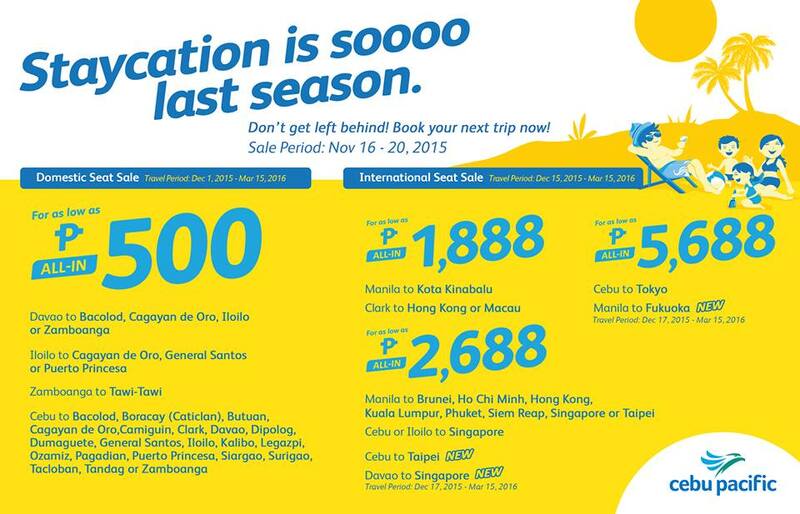 Piso Fare Promo 2016 to 2017: Cebu Pacific has not launched any Piso Fare promo yet but here's something you can avail! An all-in Php 500 Fare with base from Davao, Iloilo, Zamboanga or Davao! So don't just have a staycation next year! Visit other places of our country.